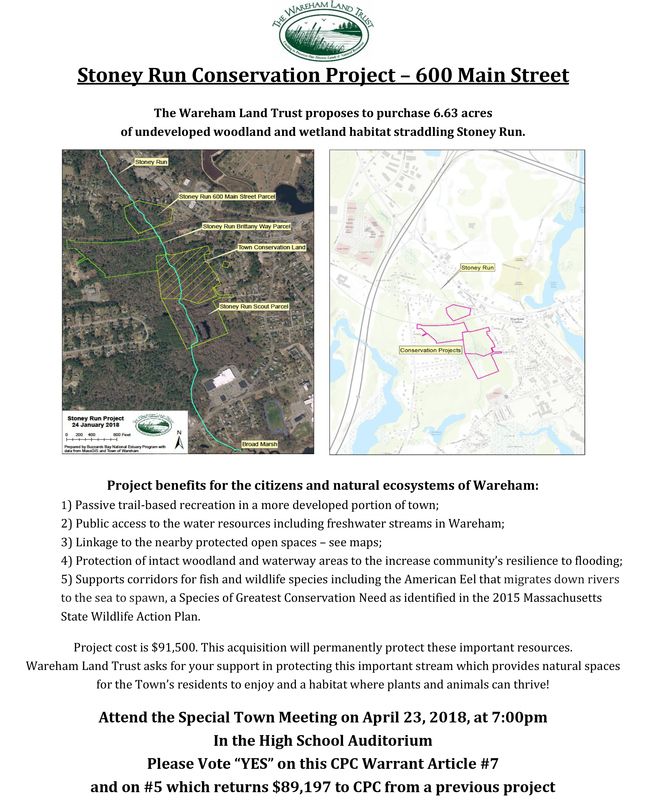 At Wareham’s spring 2018 Town Meeting, voters will be asked to support the Wareham Land Trust’s latest conservation proposal: purchasing 6.63 acres of undeveloped woodland and wetland habitat straddling Stoney Run. 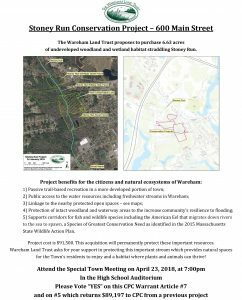 Please vote “YES” on this CPC Warrant Article #7 and on #5 which returns $89,197 to CPC from a previous project. UPDATE: We closed on this property July 10, 2018. 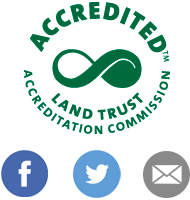 Thank you to our members for their ongoing support!